Depending on what they want to do, adventure travellers and thrill-seekers can choose a host of exciting destinations all over the world. Pretty much every continent offers a huge selection of activities that will make your adrenaline rush, your heart beat faster and your sweat flow. Skydiving is definitely one of those activities. And while it can be done in various places all over the world, there are some places that offer unparalleled stunning views. 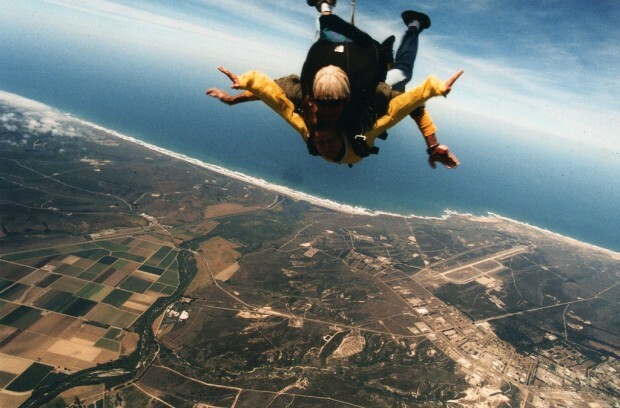 Read on to find out about the best places in the world to go skydiving. 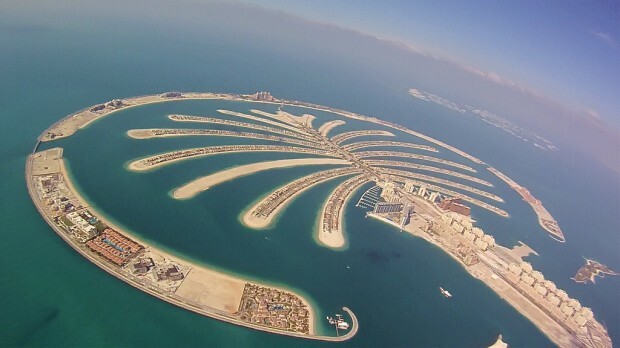 When jumping off a plane above Dubai in the United Arab Emirates, you’ll be able to see the Palm Jumeirah, a huge artificial palm-shaped island, the Burj Khalifa, the world’s tallest building, and the Burj Al Arab Hotel, one of the world’s most exclusive hotels. What a view it will be! Victoria Falls, one of the largest and most impressive waterfalls on Earth, can be seen not only while on a hike or on an elephant tour, but also while skydiving. 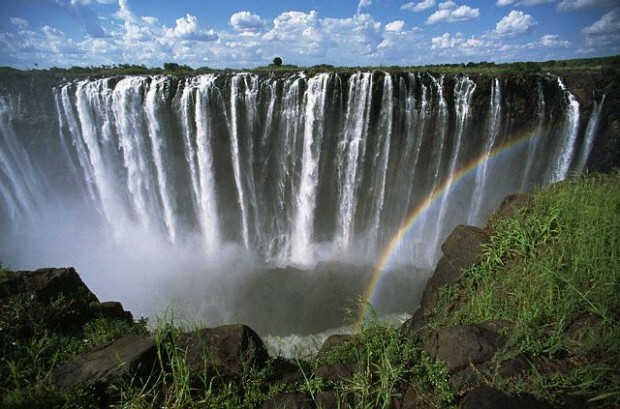 During the 25 minute flight before jumping off the plane, you can admire the waterfalls and the majestic Zambezi River. This is Africa at its very best and seeing it from the perspective of a bird is certainly a unique experience. 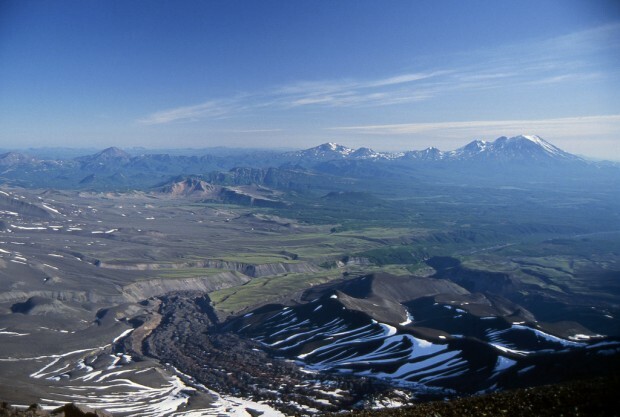 Kamchatka is a peninsula in Russia that is dotted with active volcanoes. It is truly one of the most extraordinary landscapes in the world, and there’s no better way to find out what this region really looks like than from high above. Santa Barbara is where you can experience the one of the highest tandem skydive on the planet – an 18,000 feet jump that allows for a freefall of more than a minute and a half. The drop zone lies a couple of miles inland from the Californian coast and views cover everything from the spectacular Pacific Ocean coast to the inland mountain ranges of California. 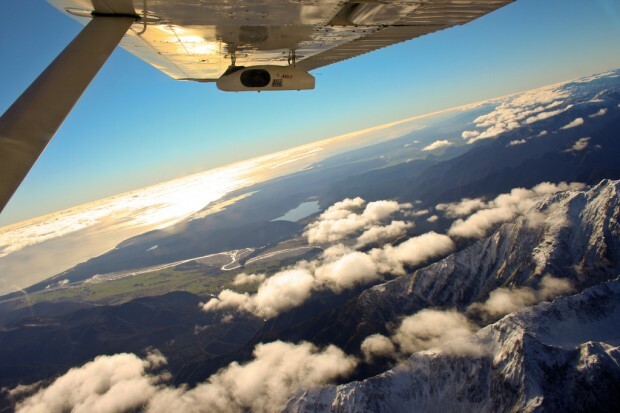 New Zealand can be considered as the adventure capital of the world. It is one of the world’s top countries for skydiving – if not the top country – hence you shouldn’t leave New Zealand without skydiving. Located on the west coast of the South Island, Fox Glacier is one of the most popular skydiving sites in the country. Views include glaciers, lakes, coastlines, the Tasman Sea and rainforests. 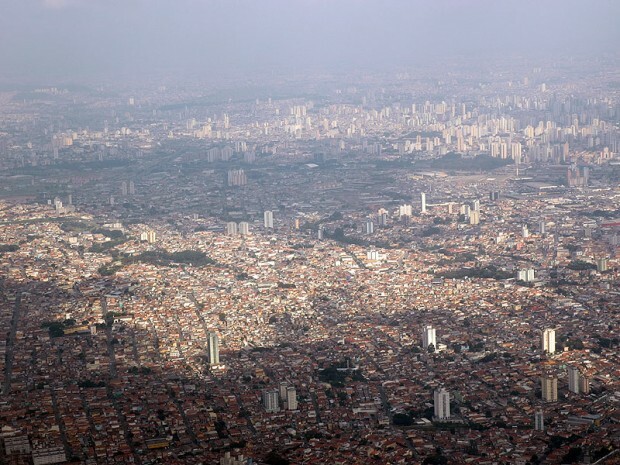 Sao Paulo was the setting for the Skydiving World Championships in 2011, which validates its claim to be one of the world’s top skydiving destinations. The views are incredible, taking in the wild Atlantic Ocean, inland mountain peaks and the cities of Sao Paulo and Rio de Janeiro. Interlaken is one of the best destinations for adventure travellers in Europe. Set between Lake Brienz and Lake Thun and with a backdrop of countless alpine peaks, it is home to one of the most spectacular drop zones in the entire world. 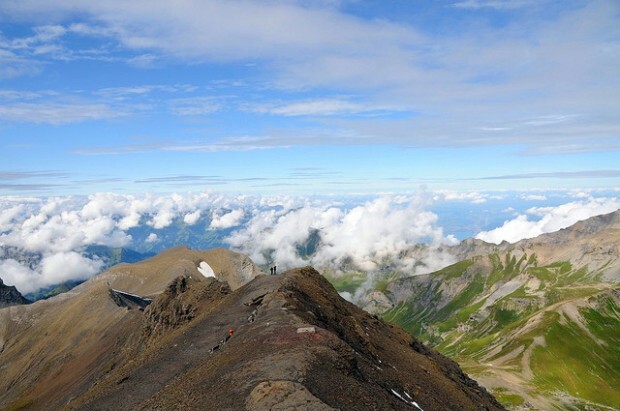 On your way down, you can look out across no less than four countries – Italy, Switzerland, Austria and Germany – and you may even be able to distinguish the iconic summits of Jungfrau and the Matterhorn. Many people consider Hawaii to be paradise on earth and they’re not far from the truth. The fact that skydiving companies use energy-efficient planes to lower your carbon footprint make the experience even more worthwhile. 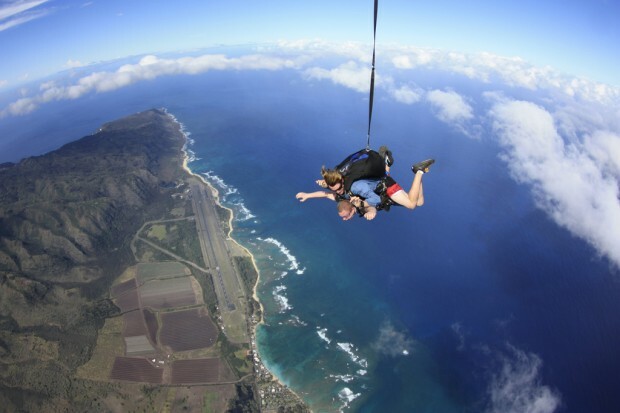 During your skydive, you can see not only the entire island of Oahu, but also the vast Pacific Ocean that surrounds it – views include volcanoes, Pearl Harbour and even marine life. 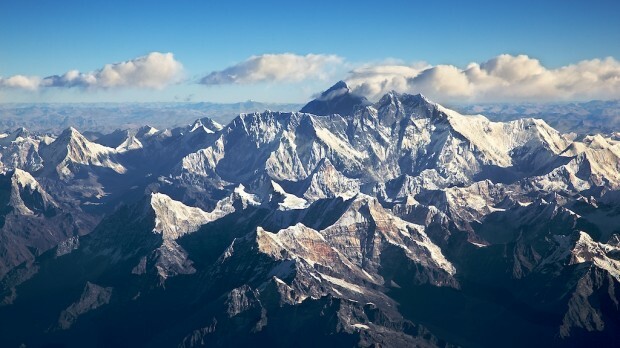 Skydiving Mount Everest is possible, but only for the very rich and fortunate, because a solo jump costs about USD 25,000. There are only four jumps per year and spots need to be reserved at least half a year in advance. This is an extremely exclusive skydive, and the views reflect the price tag. The jump takes places 29,500 feet in the sky, and the drop zone, at 12,350 feet, is the highest one in the world. Located a short distance south of Sydney, Wollongong is arguably one of the best places to go skydiving in Australia. 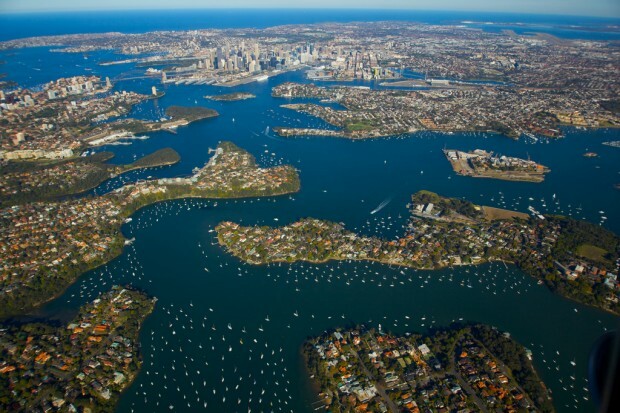 Seeing one of the world’s most famous cities, its harbour and the stunning coastline of New South Wales from a bird’s eye view will surely be one of the most memorable travel experiences you’ll ever have.